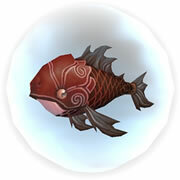 This is great news for players who are unable to fish up the carp pets themselves. So anglers and collectors be sure to save any extra Tiny Carps you may have fished up. Who knows how much they will be worth in 5.3! "Players have no effect other than capturing or killing what they find." Looks like we'll have to continue brainstorming what type of server conditions are required to spawn this elusive wild pet. If you happen to spot one, be sure to take note of environmental details. Hopefully by comparing notes, we'll figure out the mystery behind the Unborn Val'kyr!